The Bell is one of the most popular function venues in Sandwich, with a number of stylish private-hire areas accommodating all kinds of special occasion. 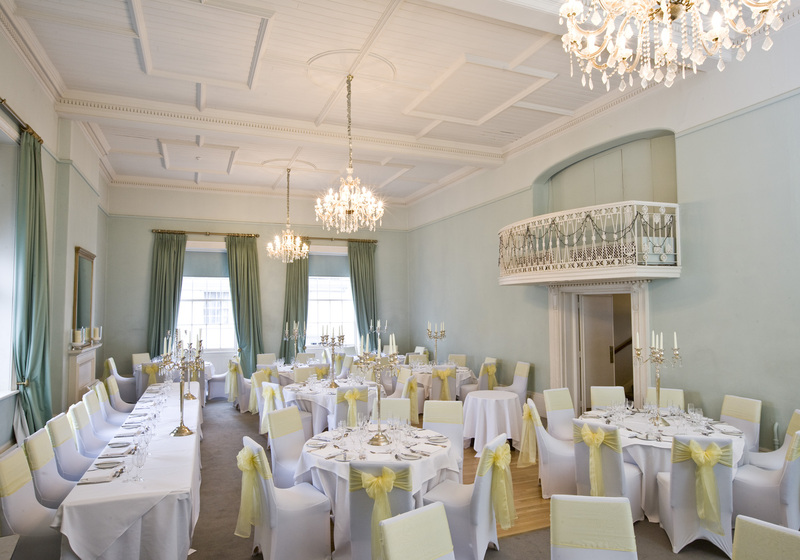 Situated on the first floor, our stunning late Georgian Regency Room is the perfect setting for a wedding reception or any function designed to impress. With its delightful Minstrels Gallery, sparkling chandeliers and high ceilings, it’s a unique venue catering for up to 120 people. Theatre-style conferences are available for up to 150 delegates. Alternatively, The Bell's Laurent Perrier Club Room, with its private bar and meeting area, is perfect for small meetings and gatherings. The elegant space can accommodate up to 16 people seated. All events can be fully catered, with a range of function menus available from canapés and fork buffets to à la carte dinners and extravagant banquets. Whatever the occasion, The Bell promises an event that will live long in the memory.